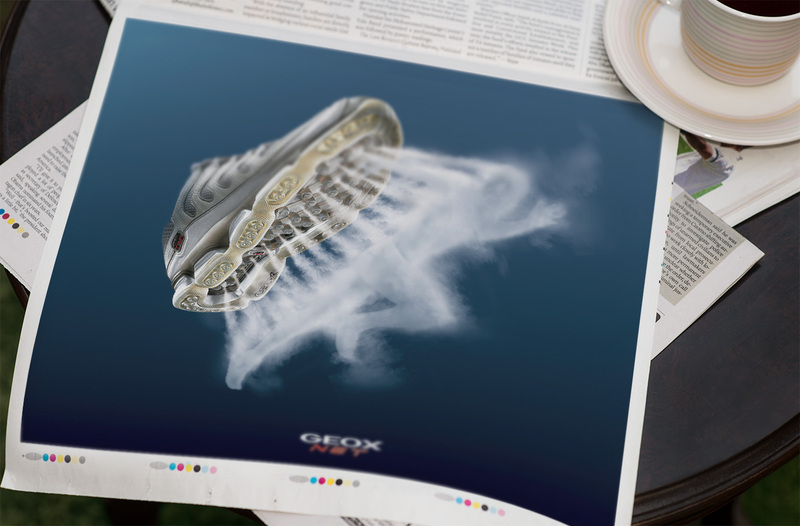 BRIEF: Advertise the new Geox Net, first sports shoes having the whole sole with the patented breathing system. 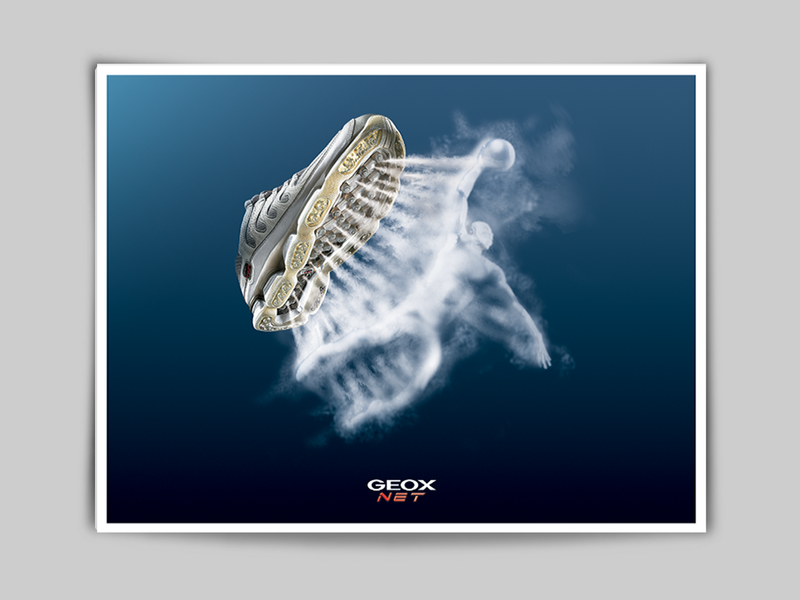 SOLUTION: A campaign with two different subjects, showing a runner and a basketball player forming from the classic 'breathing cloud' known of Geox. 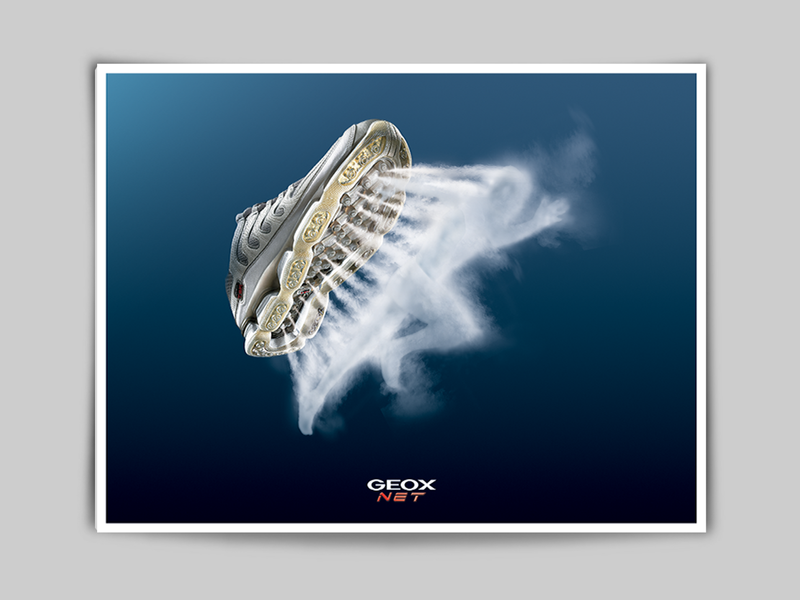 ROLE: From the conception of the idea to the realisation in Adobe Photoshop of the final artwork.